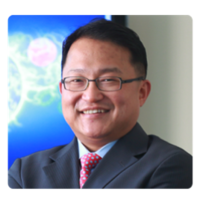 Dr. J. Joseph Kim was appointed President and CEO of Inovio Pharmaceuticals in June 2009. Dr. Kim co-founded VGX Pharmaceuticals, a synthetic vaccine company in 2000 to develop intellectual property related to immunotherapeutics licensed from the University of Pennsylvania. He led that company for nine years and combined VGX with Inovio Biomedical in 2009 to form Inovio Pharmaceuticals. Previously, Dr. Kim was a senior vaccine developer at Merck & Co. where he successfully led efforts in manufacturing and process development for several FDA-approved products and developmental therapeutics. These new products include FDA-approved vaccines for hepatitis as well as developmental vaccines and therapeutics for HIV/AIDS. Dr. Kim earned a Bachelor of Science degree in Chemical Engineering and Economics from the Massachusetts Institute of Technology (MIT), where he was a U.S. Senate Honors Scholar. He holds a Doctor of Philosophy degree in Biochemical Engineering from the University of Pennsylvania and a Master of Business Administration degree in Finance from the Wharton School. Dr. Kim has published more than 100 peer-reviewed scientific papers, holds numerous patents and sits on several editorial boards and review panels.